After last week’s fantastic episode, and with this being the “go-home” show before SummerSlam on Sunday, what happen tonight to set up for the summer’s biggest pay-per-view? One thing is for sure, it will be all wrestlers in the house, including “The Heartbreak Kid” Shawn Michaels. How will either Dolph Ziggler or Chris Jericho get the best of the other prior to their showdown? As mentioned above, HBK will be supporting Triple H – and Brock Lesnar threatened that he will see Michaels before SummerSlam, implying? The Tag-Team Championship picture is shaping up, so who will get the title shots – The “Prime Time Players” or Primo & Epico? 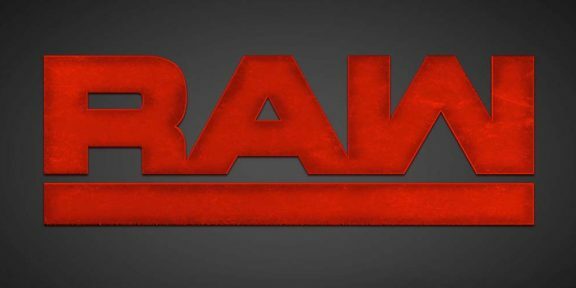 What will Raw General Manager A.J. Lee have in store for all of us fans, and in particular, her ex-man she loves to play mind games with, Daniel Bryan? Finally (and most importantly), who will stand tall to excerpt momentum for the WWE Championship triple-threat bout between Champion C.M. Punk, The Big Show, & John Cena? (Prior to the start, a replay of Big Show knocking both Punk & John Cena out from last week is re-aired to remind us of his dominance). Punk tries to attack fast, but Show is aggressive early, throwing him off and clubbing/headbutting him down. Show uses the ropes to choke C.M. and then pushes him against the turnbuckles to slap him hard with his huge right hand. A shoulder block puts Punk on the mat and Show then stands on his back and head. Show controls the contest for a while, until “The Straight-Edge Superstar” kicks him hard in the head and hits a few more. Punk nails the high-knee in the corner, but Show shoves him off before he can get the bulldog in. Suddenly, Daniel Bryan interrupts and yells at Jerry “The King” Lawler and Michael Cole, shouting that he should be in the WWE Championship match. Meanwhile, Show takes Punk down with a sidewalk slam and tries to ascend the ropes, but Punk cuts him off and flies off the top rope with a clothesline. 1 – 2 – Big Show kicks out! Bryan enters and assaults Punk, locking him in the “No Lock.” Referee Charles Robinson calls for the bell. Also tonight, Triple H and Brock Lesnar will sign the contract for their match at SummerSlam! J.T.G. is complaining to Kaitlyn about not getting one a match, despite Raw being 3 hours now. He calls it “crazy,” cuing the General Manager to sidle up next to him. She promptly grants his request, booking him in the next bout. A.J. then asks Kaitlyn if she thinks she is unstable too, and Kaitlyn retorts by saying “I can think of many words to describe you, and ‘unstable’ isn’t one of them.” Kaitlyn walks off and A.J. looks puzzled. They lock up and Ryback shoves J.T.G. off. J.T.G. gets an uppercut in but that’s it, as Ryback dominates following an overhead belly-to-belly suplex. Harsh and HUGE powerbomb with a running clothesline and the stomping Samoan drop finisher take out J.T.G. for the victory! The “Hot Rod” himself is wondering who is going to be his guest on “Piper’s Pit.” Roddy then asks Shawn Michaels who he thinks. Shawn has other things on his mind, like Brock Lesnar and a phone call from someone who is going to be late. HBK tells that person they need to be here. Lockup into the corner and Truth punches away. Slater is run off the ropes and taken down with an armdrag. Heath ducks a right hand and drives R down with a neckreaker. Slater clamps on a grounding rear chinlock, but misses a corner splash. Truth gains quick momentum and hits the “Little Jimmy” jumping flatliner for the 1 – 2 – 3! Post-match, Truth’s challengers for the WWE Tag-Titles, “The Prime Time Players” run down and assault R, gaining an advantage going into their match with Kingston and Truth for the championships on Sunday. A WWE.com “exclusive” then airs and clarifies that Smackdown General Manager Booker T. has in fact called off the bout. Alberto Del Rio responded via “Tout,” telling the G.M. that they will have a conversation this Friday on Smackdown! An uppercut and shoulder block help Tensai put Cara down quickly, but Sin moves out of a splash and hits a Senton. Cara runs the corner ropes and takes Tensai down with a Tornado DDT to finish this that soon! Post-match, Tensai takes out his frustrations and decimates his trainer Sakamoto with a two-handed Chokeslam and splash. Backstage, Shawn Michaels is asking a technical man to alert him when a certain man arrives. Right away, they take shots at each other’s misfortunes from the last time they met up. Jericho is excited however to be on “Piper’s Pit” for the first-time ever! “Hot Rod” empathizes with “The Ayatollah Of Rock N’ Rolla,” citing that much like Jericho, people told him that he wouldn’t win the big one. Piper tells “Y2J” that doesn’t matter, what matters is the fans supporting Jericho that count. “The Showoff” Dolph Ziggler interrupts, via Vickie Guerrero. He puts down Piper, wondering how long he has being doing this same old stick. Dolph turns his attention to Jericho, who compares him to Piper by asking “how many failed comebacks does it take you to realize you can’t just get it done anymore?” Ziggler tells Jericho to hang up the “obnoxious light-up jacket” after he gets beat on Sunday. The third man left out of voting now interrupts. The Intercontinental Champion The Miz wanders out and also berates Jericho for not winning “big ones.” He cites Ziggler winning the Money In The Bank and himself winning the main-event of WrestleMania XXVII, as well as capturing the Intercontinental Championship 3 weeks ago. The Miz orders Jericho and Piper to “get the hell out of my ring now” as he wants to take over the show with Ziggler. Jericho takes great exception, punching out the Miz and chucking Dolph over the ropes. He then celebrates with Piper. (We learn that General Manager A.J. Lee booked this match via twitter during the break). It begins as more of a two-on-one with Ziggler and Miz attacking Jericho. “Y2J” makes a comeback, and starts to take out both. Snapmare and vertical suplex on Miz from Jericho. Resounding chops and stomps until Ziggler trips up Chris. The double-team commences again with both kicking away at the Canadian wrestler. Dolph holds Jericho while Miz kicks him in the gut and then chokes him using the ropes. A double-suplex makes Jericho hit the mat and a two jumping elbows follow by Ziggler. He “lazy-covers” Jericho, but Miz drags him off. They argue about who should win, until Jericho gets momentum back and throws them both to the floor. A springboard plancha puts both Miz and Ziggler on the outside mats, then Jericho gets on the announcer’s table to cheer on the fans. Jericho takes off the top of the table and slams it on his opponents, and rolls Dolph back in the ring. Ziggler pushes Chris off the apron to send him crashing into the table and floor, and sending us into a break! Miz now has Jericho locked in a grounding chin lock but Jericho fights out of it, only to receive a knee to his mid-section from Miz. Again, the I.C. Champ chokes Jericho with his foot under the ropes, then slingshots him against the bottom one. Miz pulls at Jericho’s nose but misses a corner running move, hitting the middle turnbuckle instead. Jericho dropkicks Ziggler off the apron, then hits the running bulldog on Miz and follows with the Lionsault! 1 – 2 – Ziggler breaks up. Jericho hammers away on Dolph then tosses Miz crotch-first onto the top rope. Jericho poises Miz for a superplex off the top, but Ziggler positions himself under Jericho for the “Tower Of Doom” suplex/powerbomb combo! Dolph covers, 1 – 2 – Jericho reverses, 1 – 2 – Dolph kicks out. Ziggler hits the Fameasser, 1 – 2 – Jericho kicks out, and Dolph is frustrated! Ziggler stalks Jericho, forgetting about Miz who hits him with the Skull Krushing Finale! 1 – 2 – Jericho breaks the pin. “Y2J” attempts a Walls Of Jericho but Miz spins him off, only to get clothesline by Dolph. He turns around into a Codebreaker! Jericho crawls for the cover, 1 – 2 – but Vickie puts his foot on the ropes! Jericho has words with Guerrero, allowing Miz to roll-up from behind but only for 2! Jericho reverses into a Victory Roll and then the Walls of Jericho, however Guerrero distracts referee Charles Robinson again, allowing Dolph to sneak up and bring Jericho down with the Zig-Zag neckbreaker drop. 1 – 2 – 3! WWE Champion C.M. Punk is stretching when Eve comes up to him and congratulates him on his turn. Punk claims he is still the same guy, only this time just looking for respect. Eve doesn’t believe that, and tells Punk that neither does John Cena. C.M. says that he will go inform Cena that very thing right now. Beth and Layla start out, with Phoenix trying a Gorilla Press Slam, but Layla reversing into a Sunset Flip for a near fall. Eve is tagged in and kicks out of a few pin attempts, including a springboard crossbody. Layla dances then uses her rear to smash Eve in the face. She slaps hands with Kaitlyn, who hits a backbreaker and a jacknife pin combo for a close call! Kaitlyn ascends to the middle rope, but Eve pulls her off and pounds away on the mat. Phoenix is back in and kicks Kaitlyn in the stomach, which could be heard throughout the arena! She measures Kaitlyn in the corner, but gets kicked herself and Kaitlyn comes back, even wiggling out of a powerbomb attempt, then rolling up “The Glamazon” from behind to get the victory! A recap of all the events leading up to the SummerSlam match between Triple H and Brock Lesnar is aired, then a shot of the parking lot, saying that Triple H is expected to be here. Up next, the tag-team main-event! Side headlock takedown from Punk and a running shoulder block. Turn-around hip-toss by Punk, but Cena now blind-tags himself back in! Show wants in again, but Bryan yells “no, no, no” at him! Cena leapfrogs (impressively) Bryan and hits a hip-toss and a great-looking dropkick. Punk tries another tag, but Cena was too far away. This time, Show gets in and begins to control over Cena. Cena runs off the ropes with a high shoulder tackle, but Show just pushes him off. Back live, Show is still dominant, running and rear-splashing Cena in the corner. Show catches Cena in bearhug, but Bryan tags from behind and orders Show to get out. Show complies, but Daniel misses a corner front dropkick. Cena rolls to his corner and Punk tags himself in. “The Second-City Saint” hits a springboard flying clothesline, then a regular one, and takes Bryan down with a neckbreaker, but Show breaks it up. Punk goes to tag, but Cena is not on the apron. Bryan drags Punk to his corner and trades with Show again. Show headbutts the WWE Champ and slaps him on the chest against the ropes. Punk punches back but Show grabs him in another bearhug. Punk battles back with elbows to Show but gets backdropped to the mat. Again, Punk tries to fight back but gets scoop-slammed instead. Bryan re-tags himself and yells at Show again, who then walks away and stands/leans near the time keeper’s area. Punk ducks one kick from Daniel and hits hard one of his own to Bryan’s head. C.M. looks at Cena, who desperately wants in. However, Punk runs at Bryan with a couple flying shoulder tackles and a spin-out backdrop, much like Cena. Punk smiles and mimic’s Cena’s 5 Knuckle Shuffle, but before he can complete, Cena tags himself in and hits the Punk-famous high knee/bulldog combo. Punk suddenly walks out too, and Bryan takes advantage with a roll-up, but Cena gets out and hits a quick Attitude Adjustment for the 1 – 2 – 3! Post-match, Show sneaks in and looks like he is going to attack Cena from behind, but Punk interjects and hits him with the WWE Championship in the shoulder/back. Cena & C.M. stare down each other, with Punk offering a handshake. Cena is obviously skeptical, not returning the gesture, so the WWE Champion walks away. Cena is left in the ring, looking perplexed. Backstage, Josh Matthews catches up with C.M. Punk, and inquires about what just happened. The WWE Champion says that John Cena went into business for himself and didn’t care about the match. He also disrespected Punk by not shaking his hand. After Sunday, “The Second-City Saint” says he will show everyone the meaning of respect. Backstage, Brock Lesnar and Paul Heyman are shown talking with each other. 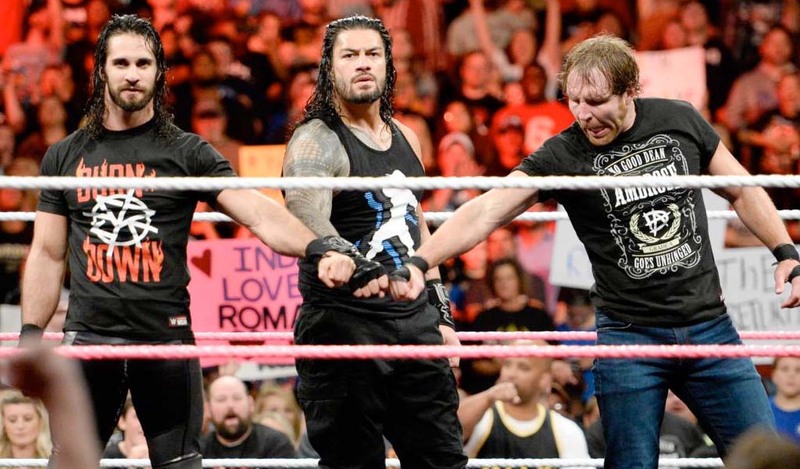 Lock up and Sandow is aggressive, shoulder-blocking Christian in the corner and nailing a Russian leg sweep. An elbow drop gets a two-count for Sandow, who runs into a kick and slaps from Christian. Christian flies off the second rope with a spinning elbow but Damien rolls out of the ring. He then slams Christian’s head repeatedly into the steel steps and puts him back in the ring. Brodus Clay’s music blares and “The Funkasaurus” walks out, distracting Sandow for a brief moment. Christian tries to capitalize with a schoolboy, but Sandow kicks out and drops Christian with his neckbreaker finisher, much to Clay’s dismay. Shawn is still walking around, and walks right into Brock Lesnar, who stares him down. Michaels walks off and Brock glares. Up next is that contract signing! Brock Lesnar, with Paul Heyman, is out first. Heyman takes the microphone, introduces himself and his client. He calls himself “the advocate for Brock Lesnar.” Heyman tells us that Triple H is having flight delays, and says that he needs this match because the “honor of WWE is in Triple H’s hands,” along with his dignity and his family. “The Heartbreak Kid” does in fact walk out and stand in front of Heyman & Lesnar. Heyman says he’ll accept the contract if Shawn signs it for HHH too. Shawn just glares at both and then “The Game’s” music hits. He walks out and strips his suit jacket off. Triple H marches to the ring and a stare down between him and Lesnar ensues. HHH picks up the pen and signs the papers. (IT’S ON!) Lesnar smirks while he did that, then signs it himself, and throws it in “The Cerebral Assassin’s” face. Brock Lesnar cockily exists and walks around the ring. He taunts Triple H & Shawn Michaels and slowly backs up the aisle. Back live, we are shown Shawn’s car with the windshield smashed and a bunch of the roster surrounding the vehicle. A.J. Lee is beside herself, while Triple H demands to know where Michaels’ is. With no answer, Triple H slams the car and walks off. Triple H rips off his shirt and screams “we don’t have to wait, let’s do it now!” to close the show. Another great edition of Raw and beautiful buildup to SummerSlam this Sunday. After tonight, I’m really feeling like this will be an awesome SummerSlam, both with the card and possible outcomes. 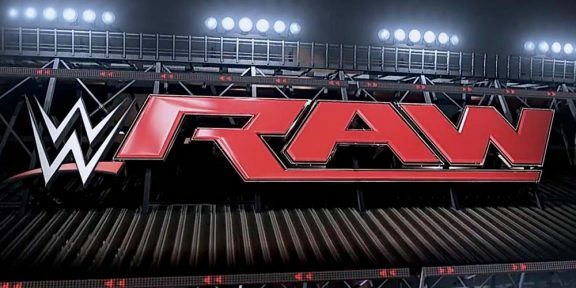 Onto the analysis of Raw, and of course, my predictions for the pay-per-view. Excellence: The conclusion to the opening bout. As usual, not a fan of main-event stars and champions opening the show with a match (in particular ones that should be main-events), but Daniel Bryan running out and demanding a title shot saved this from being a negative and put it in this section. It was a great set-up to a later-on great match. 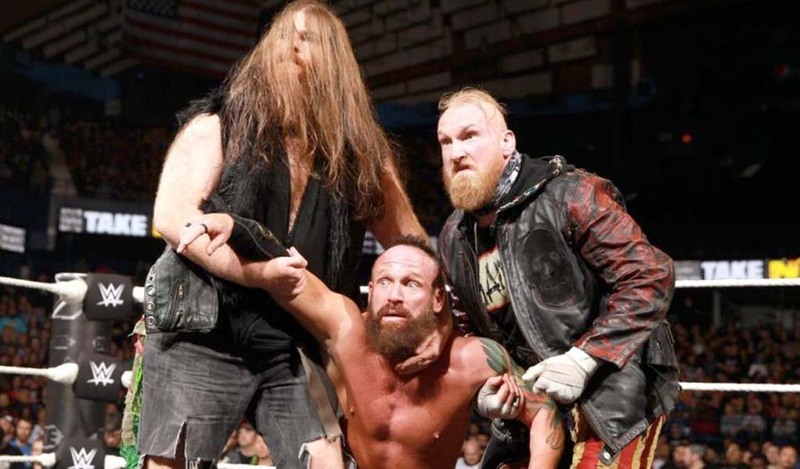 Liked “The Prime Time Players” exuberating dominance and proving why they are the #1 contenders for the Tag-Titles, however I am a little concerned they will lose their “fire” they have had in recent weeks with the firing of A.W. They need to win the Championships to keep the momentum. Shawn Michaels walking around backstage looking for Triple H was a nice little touch and also made me wonder if it was someone other than “The Game” that was going to show tonight. “Piper’s Pit” and the following triple-threat match with Ziggler/Jericho/Miz – chemistry, chemistry, chemistry. Enough said! However, one small piece that really added to both the segment and match were some of the close-ups on the wrestlers faces – it helped really tell the story and highlight their true expressions. I was really proud of that. The tag-team Punk/Cena and Show/Bryan match – great bout and loved imitations that Punk & Cena did of each others moves. Another small aspect of story-telling and getting into each others heads before the big match. Liking the Damien Sandow/Brodus Clay feud, for it’s simplicity. It all started with Sandow wanting to up the intellectual ability in WWE and rid them of Brodus and his dancing, which now has turned into a heated rivalry. Very easy to watch. The confidence Big Show had after the tag-match, basically just not worrying about tonight but focused on winning the WWE Title at SummerSlam. Big-picture thoughts like that tell a great story. At first, wasn’t a fan of the Triple H/Brock Lesnar storyline/match, but after both last week and this week, really into it now. It’s also very simple to follow: two guys who want to beat the tar out of each other. And much like Wrestlemania XXVIII, Shawn Michaels is now the intriguing factor for where his loyalty lies after tonight, so that adds some more suspense to an already intense match. Bogus: Did not care about Ryback, Sin Cara/Tensai, or the Divas tag-team bouts – to me, just filler. Where was Kane to help promote his match with Daniel Bryan on Sunday? The announcement of the “pre-show” – a Championship match (in this case the U.S. Title) should NOT be on Youtube and a pre-show bout – E-E-E-EEVVVER! (to quote Chris Jericho!) This is not the way to get a title over, and Santino Marella’s challenger, Antonio Ceasaro, needs to be built a bit more/have a reason before receiving a U.S. Title match, in my opinion. This came out of no where. I will say that I wasn’t a fan of C.M. Punk kicking off the night with a match, since he is the WWE Champion, but as stated above, they did save that for me and ended up twisting it around for later on. On the other hand again, that was NOT the main-event, and should’ve been switched around with the Sandow/Christian match! Let’s see how I do in my % for SummerSlam! For those watching enjoy. As always, Be Excellent Wrestling-Online readers and Wrestling Fans!